Recent writing on the nature of freedom has served to underline a crucial gap in the academic experience. First--and most obviously--the concept of freedom has been modernized by its application to contemporary institutions. Second, a new approach to the concept of liberty has been pioneered in the construction of new typologies of freedom. Finally, awareness of variety in concepts of freedom has been paralleled in variations in the practice of freedom. The tumultuous history of Western man may be conceptualized as the story of how freedom has become embodied. What is missing from the story is the relationship of concepts to actions. This relationship has been established for some specific notions of freedom. Many of the philosophical analyses--especially recent ones like pragmatism and existentialism--have been predicated on actual human behavior. On the other hand, many classic histories of freedom--those of Georg Wilhelm Friedrich Hegel, John Bagnell Bury, Guido de Ruggiero, and Harold Laski--have traced the actual development of a definite kind of freedom. 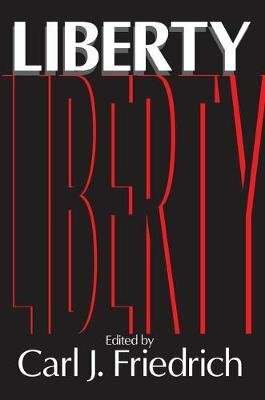 This volume contains essays prepared to celebrate the anniversary of the publication of John Stuart Mill's "On Liberty," revised in the light of discussions by Henry D. Aiken, William Ebenstein, Mark DeWolfe Howe, and David Spitz, as well as other articles, many of them growing out of the discussion either in the form of commentary or independent contributions. There are also two papers written independently (Andrew Hacker and Leonard Krieger).